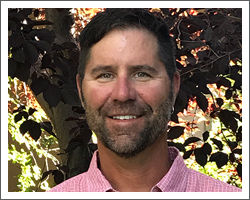 Derek Schmidt is the Owner, Founder and Clinical Director of Reach, Inc., a therapeutic counseling agency in Denver, Colorado. 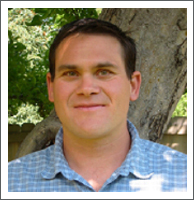 Derek holds a Masters Degree in Transpersonal Counseling Psychology and is licensed as an LPC in Colorado. In addition, Derek is Certified in Equine-Assisted Psychotherapy, Gestalt Therapy, and Wilderness Emergency Medicine (WFR). Derek has over 21 years of experience as a therapist and facilitator combining his passion for wilderness, adventure, and self-exploration while assisting individuals in creating powerful, illuminating experiences. Derek believes in the power of the “here-and-now” and utilizes the body, mind, and environment as avenues for exploration of the client’s process. Lisa Pisciotta, MA, LPC, CACIII. Lisa has worked in both community mental health settings including outpatient and triage, as well as school settings for the last twenty years. Lisa is a Licensed Professional Counselor and holds a Certified Addiction Counselor Level III Certification. Lisa is also a Certified Trainer of Trainers for the Olweus Bullying Prevention program and the Life Skills program. Lisa is also certified in Positive Behavior Intervention Support program. Lisa has worked with varied populations and issues including adult/child victims of domestic violence and adolescents/adults with mental health and substance abuse issues. Lisa currently conducts prevention and intervention trainings for several schools and school districts in Colorado related to classroom management consultation, bullying prevention, and Positive Behavior Intervention Support program. Lisa lives and plays in Denver with her husband, son, and two dogs. Lisa enjoys reading, yoga, cooking vegetarian, and traveling the world. Stacey, MA, LPC. Stacey’s approachs therapy from a solution focused perspective. This allows the client to identify what goals they want to accomplish in the therapeutic process and work backwards from there to identify what steps need to happen to arrive at a goal that is realistic for them. Stacey has found that this approach gives clients control which inevitably gives them motivation and willingness to work towards their goals. Another important approach that she takes in the therapeutic process is focusing on where the client is today and how to help them be more present in the current moment. Stacey is trained in Trauma Focused Cognitive Behavioral Therapy (TF-CBT) as well as Eye Movement Desentiziation and Reprocessing (EMDR) which allows her to help clients work through the situations they have experienced that have been traumatizing for them. Family systems are one of the areas that she works best with. Stacey is passionate about how relationships, especially those closest to us which can help create lasting change that will sustain each family member. Michael Jospé, MA, is staff of Reach and owner of the Earth-Based Institute. As a professional coach, educator and wilderness guide, Michael is passionate about helping people learn about themselves while being in nature. Michael has a BA in Outdoor Recreation Leadership, an MA in Transformational Learning, a certificate in Gestalt Psychology, and a certificate in Evidence-Based Coaching. Michael is also certified as a Professional Coach and as Wilderness First Responder. Michael believes that each person has a unique purpose in life, a purpose that is important to the health and balance of our society, as well as the environment. Michael has been coaching, guiding, and teaching for over a decade. Michael loves to mountain bike, backpack, and backcountry ski. He lives in Boulder with his wife, two sons, and way too many pets. 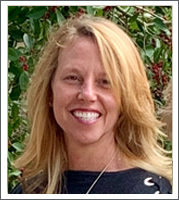 Katie Asmus, MA, LPC, BMP, is a Counselor, Life Coach, Educator, Mentor , Workshop Facilitator, and founder of Namasté Healing Arts Center, LLC, a multi-dimensional therapeutic and educationally-based organization incorporating Wilderness and Body-Centered Psychotherapies. 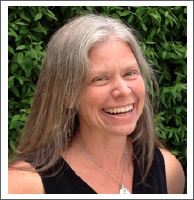 Katie has trained a myriad of students, therapists, educators and life coaches to collaborate with the natural world. Katie has led hundreds of experiential wilderness and nature-based programs from a few hours up to 30 days in length. Katie is an avid learner, creator, and lover of life! One of her main passions is supporting others in tapping into their own innate wisdom and connection to the natural world in support of greater health and healing on the planet. Lauren Dodge, LSW. Lauren has worked with adolescents struggling with drug and alcohol use for the past six years. Lauren has worked with youth in a variety of settings including intensive outpatient treatment, shelters for homeless youth, public schools, and the juvenile justice system. 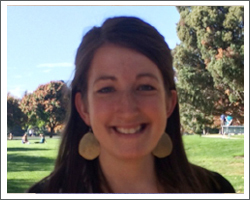 Aside from Lauren’s work with Reach, she is an InSchool prevention and intervention specialist in Denver Public Schools. Lauren approaches therapy from a client centered, solution focused perspective. These techniques allow the client to identify what goals they want to accomplish in the therapeutic process and work to identify what steps need to happen to arrive at a goal that is realistic for them. Lauren strives to utilize approaches that clients can control, which inevitably gives them motivation and willingness to work towards their goals. 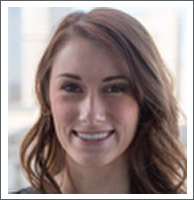 Lauren is passionate about providing youth skills and resources to be healthy, happy and successful young adults. Lauren is a transplant from Oregon, but has lived in Denver going on four years. Lauren enjoys hiking, exploring the mountains, baking, and cheering on her alma mater, the Oregon Ducks.